Disney's Vero Beach Resort | UNIGLOBE Direct Travel Ltd.
Two hours southeast of Walt Disney World Resort is a paradise that bears the features of hidden treasure. Disney's Vero Beach Resort is the paradise’s name. 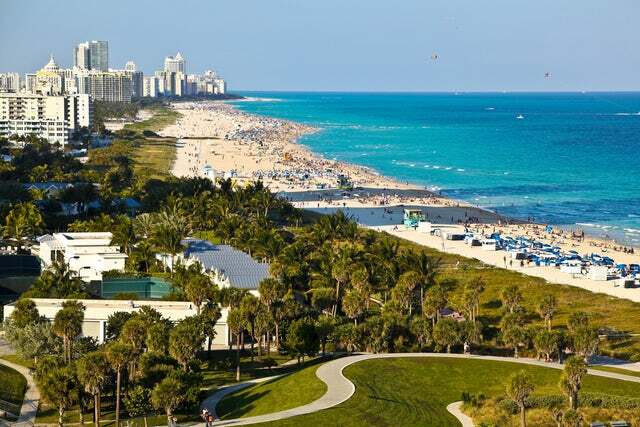 With sparkling blue water and hidden from the Atlantic Ocean turbulence on the Treasure coast, the golden sand Vero Beach is one of the most charming places you will ever visit. The enchanting resort is tucked away such that the exclusivity sought by couples on honeymoon, celebrities and politicians is easily achieved. Its spacious lodgings and scenic views provide an idyllic lifestyle that is rare to achieve in the USA’s Eastern Coast. Among the facilities that make this destination worth every cent you spend there include the Atlantic Treasure Coast that offers the guests ample space to explore the beach and its wonders as well as engage in beach activities such as sunbathing, swimming and playing beach football and volley ball. The coast also happens to be a conservancy where the sea turtle nests. Guests get to enjoy the best of these spectacular reptiles at the Loggerhead Sea Turtle. Of course the spa at the resort is another selling point in that it gives the guests rejuvenating massages as well as eco-friendly treatments. The other facility that would entice you to spend your vacation at this establishment is the Supervised Children's Activity Center. Here, children give their parents some 'off time' to engage in more adult things such as spa, romantic lunches and dinners etc. as they explore the Disney Discovery Club. Inn Ocean View - At US$219, this studio will host up to four adults and offers the view of the ocean. The 1 Bedroom Villa - This will cost you US$307 and can host up to 5 adults. It offers the views of the ocean, pool, landscaping or hotel. The 2 Bedroom Villa - At the rate of US$401, this villa can host up to 9 adults. It offers the views of the garden or the pool. If you are a foodie, do not worry. You can enjoy gourmet dining at Sonya's. For those who would rather have their meals casually with friends, perhaps your best option will be Shutters or The Green Cabin Room. If you are in a hurry and want to grab a quick meal, get it at Bleachers Bar & Grill. On the other hand, if you would rather have your meal enjoying the views or watching some sports, then the Green Cabin Room is your best bet. Among the activities that you can engage in at the resort include; taking a plunge at the 163-foot Pirate's Plunge waterslide, surf in the Atlantic, go out to the Sea Turtle Conservation center, enjoy relaxation massage at the spa, play miniature golf, set a camp fire and sing old 'silly songs', lose a few pounds at the fitness center and many more. Among the services to expect at this resort include; online check-in, wireless internet, parking and transportation, pet care, grocery orders, Weddings and Conferences services and space, Disabled services, laundry and cleaning services, baby sitting and child care services, banking etc. This resort is completely customized to maximize the guests comfort and happiness. If there is one place that you should take your family for an exciting summer holiday, then this is one of them. Call us today and we will get you packing.